Needing help with possible bug or may be operator fault. 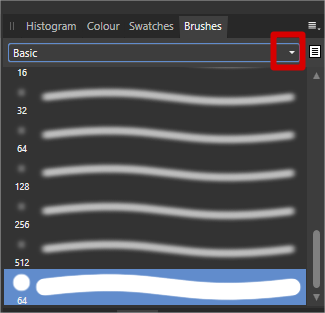 The brushes drop down box is no longer displaying any brush options at all. 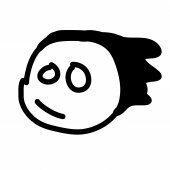 I created a watermark brush, which was working fine but today the function crashed my whole programme and continues to crash it if I open it. Is this operator error? I have touched something to disable it ..
Have you tried to click on the dropdown arrow? Close Photo. Navigate to %AppData%\Affinity\Photo\ and rename 1.0 to 1.0.backup. Reopen photo. Hi Gab, Yes I have no brushes come up at all..
Also can you please be more specific where I am navigating that link.. I think ive got it.. Thanks.. brushes are now back . Followed link in my windows explorer - nothing come up - so restarted the computer.. Affinity wouldn't close as there was a opened file preventing this. Forced the shut down , reopened and the unsaved file come up so I was able to close and the brushes were restored.. So Im unsure if that file had somehow disabled the brushes .. anyway.. back to working!!! SIDE NOTE! LOVE THE PROGRAME!!! I'm glad you got that sorted! Let us know if you have any more issues. We will close this issue for now as "cannot replicate"